New Zealand's manufacturing sector stretched further upwards in terms of activity levels, according to the latest BNZ - BusinessNZ Performance of Manufacturing Index (PMI). The seasonally adjusted PMI for June was 57.7 (a PMI reading above 50.0 indicates that manufacturing is generally expanding; below 50.0 that it is declining). This was 0.5 points higher than May, and almost on par with the level of expansion in January. The sector has been in expansion in almost all months since October 2012. BusinessNZ's executive director for manufacturing Catherine Beard said that like last month, the fundamental components of the survey continued to hold up well. "Both production (60.8) and new orders (61.6) remained above the 60-point range, while employment (53.5) experienced its fourth consecutive rise in activity levels." 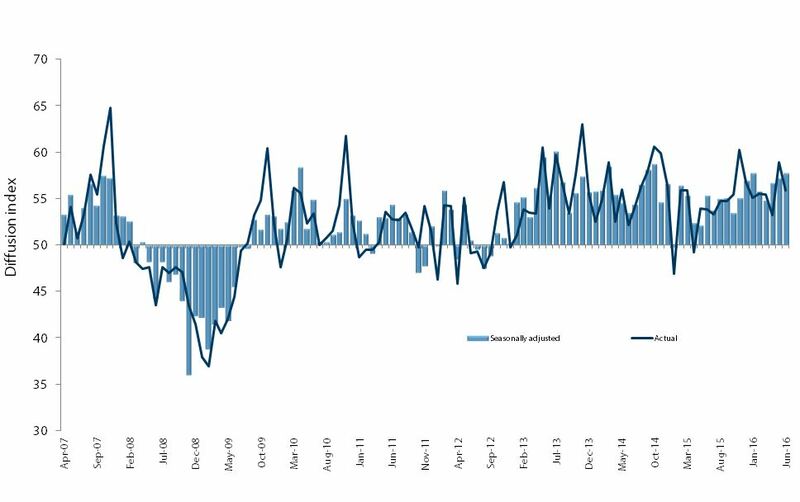 "Despite the proportion of positive comments falling slightly from 66.4% in May to 62.8% in June, a combination of seasonal factors, expanding markets and construction projects helped keep the positive trend going." 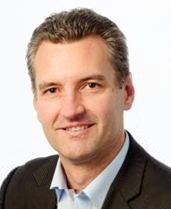 BNZ Senior Economist, Craig Ebert, said "While we are obviously encouraged by June's (post-Brexit) PMI we are also conscious of the soaring currency. Good economic news comes with a price in FX markets." June's Performance of Manufacturing Index (PMI) took Brexit in its stride, firming half a point, to 57.7. The survey was in the field the first full week of July. And not one response referenced Brexit. In keeping with PMI readings over recent months, manufacturers responding to the NZIER's June quarter Quarterly Survey of Business Opinion (QSBO) perked up. The local construction sector is becoming a driver of local manufacturing activity. The NZIER QSBO made this clear. It also highlighted, however, that capacity constraints were coming into play. While we are obviously encouraged by June's (post-Brexit) PMI we are also conscious of the soaring currency. Good economic news comes with a price in FX markets.